Does hydrocodone cause birth defects? Unfortunately, there is not a clear cut answer to that question. Hydrocodone, also known as Vicodin, is a narcotic pain reliever that is often prescribed following a surgery, injury, or other causes of pain. It is used in conjunction with acetaminophen for a wide variety of issues. In most cases, hydrocodone is prescribed for a short period of time while a person recovers from a pain-inducing event. For some people with chronic issues, hydrocodone may be used for a longer period of time. It may also be prescribed as a cough suppressant under the name Dilaudid. Despite its wide use, hydrocodone does have some drawbacks. There are many potential side effects, including dizziness, drowsiness, nausea, and constipation. Long-term use can also cause hearing loss. In recent years, hydrocodone has become a popular recreational drug and can lead to dependency when used improperly or for long periods of time. In 2009, the American Food and Drug Administration recommended that Vicodin and Percocet, another popular prescription pain reliever, be removed from the market due to a rise in overdoses. 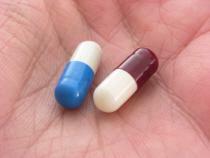 Acetaminophen, commonly known as Tylenol, can cause liver damage if taken too much or for a long period of time. Although acetaminophen is generally safe as a short-term pain reliever, people using hydrocodone may not realize that it already contains acetaminophen and can unknowingly overdose if they also use Tylenol. Does Hydrocodone Cause Birth Defects? Due to potential long-term damage, there hasn't been any human-based studies that can effectively answer the question, "Does hydrocodone cause birth defects?" The FDA classifies hydrocodone as a Category C for use during pregnancy, meaning that the medication could be harmful to unborn infants but there is not enough clear evidence. Studies conducted on animals show that there are some potential birth defects caused by hydrocodone use, but it is not known if this applies to humans as well. Babies born to mothers who used a lot of hydrocodone during pregnancy may experience withdrawal symptoms after they are born. These symptoms include excessive crying, fever, and tremors. If hydrocodone is taken during labor, the infant may have respiratory problems following birth. One definite concern of hydrocodone use during pregnancy is the effects it has on the expecting mom. If the mother has been using hydrocodone for a while and has developed a dependency on it, she will likely experience withdrawal symptoms of pain, sweating, and anxiety if she stops using it. Liver toxicity or failure can also occur in long-term use, putting the life of both the mother and the baby at risk. A mother who is addicted to a painkiller like hydrocodone might not being taking care of herself as well as she needs to during pregnancy. This can cause poor nutrition and a lack of proper prenatal care, the effects of which can be passed along to her baby. When used carefully by a pregnant woman under the direction of a doctor for a short period of time, there is no conclusive evidence that hydrocodone will cause long-term effects in babies. Excessive use and dependency can cause complications for the baby, however, particularly right after the birth. Unfortunately, there's no easy answer to the question, "Does hydrocodone cause birth defects?" Women and their doctors will need to carefully weigh any potential side effects from the drug against the health benefits and pain control that it offers to the mother.